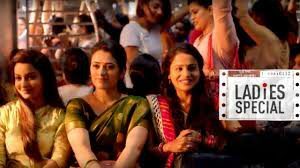 Ladies Special 2 is an Indian Drama Serial that was first premiered on Sony TV channel on 13 October 2018. Its Latest Episode was broadcast on on Sony TV channel and was of 32 minutes duration excluding ads. Drama Serial is production of Sony TV . You can watch All Episodes of including Today Episode of Ladies Special 2 Sony TV channel here in best quality. The first season of Ladies Special was about 4 leading ladies who travelled by train and their lives were unravelled in parallel. At that time, show was not that much appreciated by the audience and was also not able to achieve a good ratings or TRPs. However, this time makers are planning to bring new story with the same old story plot.